This bowling alley has been really well taken care of and is in excellent condition. 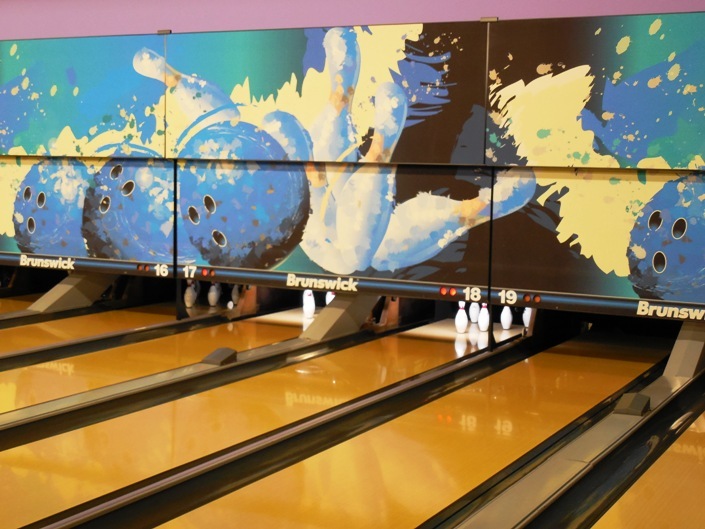 Take a look at this used bowling equipment for sale as it was upgraded in 2008 and as you look at the photos you will see it is in really good condition. You will get newer Scoring system, Synthetic lanes with cribbing, gutters, balls, shoes, tables chairs etc… Everything you need to open your bowling center. If you choose to have us install this bowling equipment it will be installed by certified installers with over 20 years of experience who know what they are doing. Since they will be the ones pulling it out and reinstalling it the whole operation will go smoothly and on time. We have a warehouse full of Bowling Equipment for sale so let us know what you are looking for because there is a pretty good probability we will be able to help you. Keep in mind that if you are looking for Brunswick GSX 2 equipment it is harder to come by and has a much higher price. The Brunswick A2 equipment is not that much different with the exception of the control part of the system. If it has been upgraded then it will have the same functionality and reliability of the newer GSX equipment. The parts are readily available so repair and maintenance is not a problem. Something to consider is overhead. Overhead is what kills many businesses. If you choose the Brunswick A2 pinsetters you will get the same service from them at a much lower cost. If you want to install it your self or by someone you already know, the price is 12,000.00 per lane loaded on your truck. If you would like us to install it at your facility we are offering a Turnkey installing for $24,000.00 per lane plus shipping.